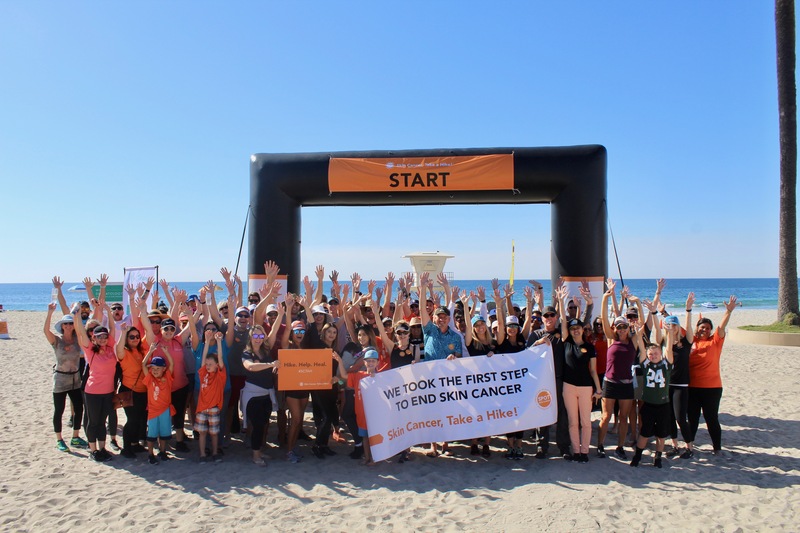 This past Saturday, West Dermatology and 300+ team and community members participated in hikes we held in California, Nevada, and Arizona to send a message: We can prevent skin cancer—and save lives—through education and encouraging healthy habits. Through our three hikes, we raised more than $65,900 (Yea!) for free skin cancer screenings, new shade structures, new sunscreen dispensers at large outdoor areas, and educating the public on the importance of skin cancer detection and prevention. To put this in the proper perspective, via the leadership of Dr. Kimberly Butterwick, Dr. Paul English, Tom Powell, Veronica Rooney, Minerva Navarette, Henry Whitehair and many other committed team members, our collective efforts resulted in the second-highest contribution to the American Academy of Dermatology in the entire United States! As a community of healers, nothing is more important to us than disease prevention and early treatment. That commitment is especially important right now, since men’s death rates from melanoma have shot up around the world, and an estimated 9,000 US adults will die from melanoma this year. Both Chris Kane, our CEO, and Dr. Kimberly J. Butterwick, one of our nationally recognized dermatologists, gave rousing remarks that reminded everyone of what’s at stake—and the bright future we’ll have if we take action now. Skin cancer is a serious topic, of course, but the fundraiser still made space for fun. Designated sunscreen sprayers with hot pink signs sprayed hikers and passersby, so participants could treat their own skin as they protected the health of others. As a bonus, some hikers won prizes from the dermatologist-recommended skincare brands SkinCeuticals and EltaMD. And everyone went home with a goodie bag full of sun safety products from Heliocare, SkinMedica, Colorescience, La Roche-Posay, Coppertone, EltaMD, and ALASTIN Skincare. Most importantly, the hike met its aim: helping people in underserved communities, including kids, live longer and healthier lives. The funds raised will allow doctors to teach sun-smart habits and clear a path to early treatment for people from all walks of life—which saves lives about 97% of the time! We’re confident that we, along with our community, made a difference. Thank you to everyone who donated!